Annemarie Nichols is a speech-language pathologist in Dayton, OH. Practice Type: • Outpatient Rehabilitation Center Practice Areas: • Speech Language Pathology • Speech Therapy • Augmentative Alternative Communication Take the next step and contact Annemarie Nichols for a consultation in Dayton, OH or to get more information. Erika Groppe is a speech-language pathologist in Cincinnati, OH. Practice Type: • Office Practice Areas: • Speech Language Pathology • Speech Therapy Take the next step and contact Erika Groppe for a consultation in Cincinnati, OH or to get more information. Susan Proffitt Meiser is a speech-language pathologist in Cincinnati, OH. Practice Type: • Rehabilitation Hospital Practice Areas: • Speech Language Pathology • Swallowing disorders Take the next step and contact Susan Proffitt Meiser for a consultation in Cincinnati, OH or to get more information. Mark Ostrowski is a speech-language pathologist in Cincinnati, GU. 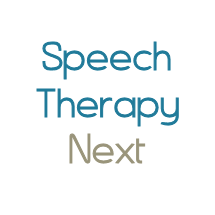 Practice Type: • Speech-Language Treatment Center/Clinic Practice Areas: • Speech Language Pathology • Speech Therapy Take the next step and contact Mark Ostrowski for a consultation in Cincinnati, GU or to get more information. Bernice Powell is a speech-language pathologist in Cincinnati, OH. Practice Type: • Speech-Language Treatment Center/Clinic Practice Areas: • Speech Language Pathology • Autism Take the next step and contact Bernice Powell for a consultation in Cincinnati, OH or to get more information. Amanda Matthews is a speech-language pathologist in Washington Ct Hs, OH. Practice Type: • Office Practice Areas: • Speech Language Pathology • Speech Therapy Take the next step and contact Amanda Matthews for a consultation in Washington Ct Hs, OH or to get more information.